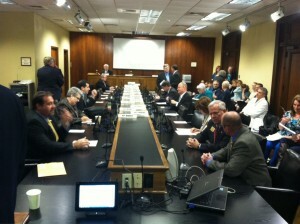 Today members of the House Public Health Committee voted to pass HB1037 by Representative Andy Mayberry. HB1037 prevents abortion once an unborn baby has developed to the point of being able to feel pain–about 20 weeks. Abortion is an excruciatingly painful procedure for an unborn baby. 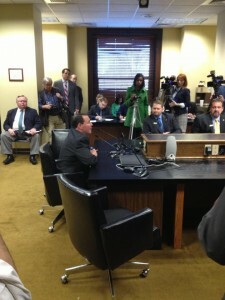 Rep. Mayberry’s bill will help ensure babies are not subjected to that kind of pain. The bill met with some opposition from those who came to testify against, but was strongly supported by testimony from Rep. Mayberry, Mrs. Mayberry, members of the medical community, and concerned citizens, and ultimately passed with a voice vote. No official roll call vote was taken. The bill now moves on to the entire House of Representatives, where it will likely pass, as it has 54 co-sponsors, though it only needs 51 votes. After that it will be referred to the Senate Public Health Committee for consideration.